Do you want a fresh look for your bar or restaurant, but don’t have a lot of cash to spend? 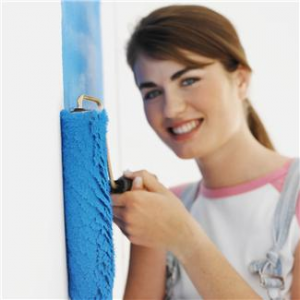 Here are some easy ways to transform your space on a budget! Whether you pick just one or a combination of these ideas, your bar or restaurant will be looking like new without a lot of expense! Curb appeal makeover. Your restaurant’s appearance from the outside says “come on in” or “don’t come at all.” Do you have a prominent restaurant sign that drivers-by can’t miss? Does your sign clearly say what you are? For example, if your business name is just Joe’s Place, you may want to add “Good Eats, Tall Drinks, Live Music” beneath your name, so out-of-towners know exactly what they’ll find inside your doors. Is your front entrance tidy and trimmed? Maybe you need to add an outdoor waste receptacle, a friendly bench for waiting patrons, or a warm and welcoming porch swing or Adirondack chair for some added charm, depending on your business model. When it’s after sunset, is there ample lighting for guests to enter and exit safely? A welcome sign on the door? You don’t necessarily have to hire a landscape artist, but a quick trip to the local greenhouse could really brighten up your entry way. Consider what your storefront says about you and what easy steps you can take to improve your curbside image. Furniture re-arrangement. A simple restaurant remodel doesn’t mean dumping a ton of dollars into new construction projects and man power. Thinking out your space planning and moving your existing restaurant furniture around could be just the trick you need for a fresh new look! Table overhaul. Our customers have told us that they need to replace their restaurant tables about every 7 years in order to keep their dining rooms looking grea t. There are a lot of ways to do this, though! If you have solid wood table tops, you could have them refinished by sanding down and re-staining. Not solid wood? Don’t worry, there are a lot of inexpensive but quality restaurant table tops on sale year-round. And the best part is, because table tops and table bases are generally sold separately, you only have to replace the top and can keep your still-in-good-shape table bases! Not sure you have the budget for a new top? Why not consider using linens to cover up any scratched or stained tables in your restaurant? New seating. You don’t need to purchase new restaurant chairs to create a new seating look. Do your chairs need new seats? The seats need re-upholstered? The frames need touched up with paint or stain? A little T.L.C. can go a long way in keeping your chairs looking like new! But maybe it is time for a more modern look. Or maybe you want to add some comfortable restaurant booths. You can find great deals on restaurant seating that won’t break the bank! Accessorize. Are the artwork and decorations getting less and less exciting in your place? Create a new vibe in your bar or restaurant by adding some new lighting, new photographs, or doing something a little more wild, like a wall-to-floor mural or a chalkboard wall, where your guests can write messages and reviews. Fresh paint, clean entry carpets, and some new decorations could really go a far way. Sometimes it’s the little things that make the biggest difference. Outward expansion. If your renovation goals are to seat more people, maybe it’s time you open an outdoor patio. Even if you’re located in a four-season area, there are plenty of ways to extend outdoor dining after summer ends. Maybe it’s time you applied for that permit and started shopping for outdoor restaurant furniture on sale. Good luck and happy renovating!